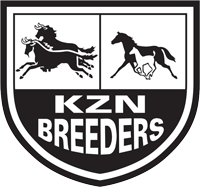 The nominees for the KZN Breeders Awards to be held on 26 November 2016 have been announced, with our Equus National Champion Breeders Summerhill Stud dominating the various categories with 14 nominations, amongst them the likes of Rabada, No Worries, Heaps Of Fun, Intergalactic, Witchcraft and Arch Rival. Scott Bros follow suit with their brilliant and consistent Gr1 winner Talktothestars, voted Equus Champion Sprinter. Others representing the Scotts Highdown Stud include Gr1 placed Judicial, Pennington Sands, whilst Mayesh Chetty’s two year old colt Oversure is by Mogok. Ken and Lynne Twort of Barton Hall Stud have their dual Gr3 winning Mullins Bay gelding Viking Hero in two categories, for Outstanding Sprinter Male and Outstanding Older Male. Bush Hill Stud have their born and raised chestnut gelding by King’s Chapel, the ever consistent Malak El Moolook selected for his breeder Mr R Hanna. The late (and great) Greg Royden-Turner of Roski Stud has his outstanding Western Winter filly Frosty Friday selected for Outstanding 3Yo Filly, and Roski are regular visitors to the winners enclosure from small numbers, reflecting Greg’s passion for the breed and his careful pedigree selections. Mike Benson of Kjell Foundation will be delighted as the full sister to multiple Graded Stakes winners in Eastern Greeting and Kalaam, have their full sister Kwinta nominated for Outstanding Older Female and Outstanding Sprinter Female. A hearty congratulations to Lee and Dino Scribante of Piemonte Stud, who have their outstanding Argonaut filly selected for Outstanding 2YO Filly – O Tamara. 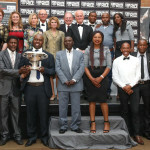 Already a winner at the Eastern Cape Racing Awards, the grand-daughter of Spectrum flies the flag at the Awards and it is pleasing to see the immediate success from the young farm of Piemonte, which finished at an impressive winners to runners percentage of 40% for the 2015 season. Rathmor Stud’s blue hen and a previous recipient of the KZN Breeders Broodmare Of The Year award, Gypsy Queen’s Kahal gelding Romany Prince has been nominated in the category of Outstanding 3YO Colt. The great daughter of Royal Chalice put Rathmor Stud on the map, producing American and South African Gr1 winner Gypsy’s Warning and Gr2 winner Surabi, the dam of Sundari. Gypsy Queen will foal to Noble Tune this season, a very exciting mating indeed. Last but not least, an outstanding achievement for Anton and Judy Procter who have three horses nominated this year, from a small number of elite mares at stud. Their speedy grey Toreador colt Misty Birnam has been selected for Outstanding 2YO Colt, whilst KZN Racing Award winner Dawn Calling from the Duncan Howells Racing Stable has been nominated for Outstanding 2YO Filly. 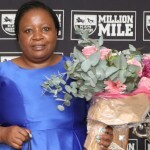 Previous KZN Breeders Award winner by Ideal World, Patchit Up Baby has once again been nominated for Outstanding Older Female and Outstanding Middle Distance Female. 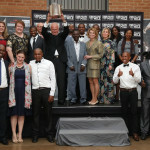 The KZN Breeders Awards will take place at the beautiful venue of Bellwood Stud on 26 November.